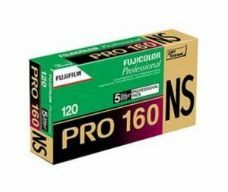 Fujicolor Pro 160NS is a colour negative film with an ISO160 speed, ideal for photographers looking for natural skin tones, and is especially suited to portraiture, weddings and offers a lower contrast negative. 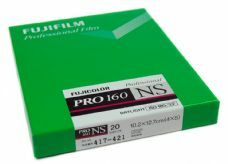 The film boasts very fine grain, the latest emulsion technologies and Fuji's fourth colour layer providing the emulsion with great flexibility. It scans beautifully enabling the photographer all the advantages of the digital world coupled with the best of traditional film.